COPYRIGHT, 1900, By JOHN LANE. Author William Pfaff wrote that history is an insistent force: the past is what put us where we are. The past can not be put behind until it is settled with. This book is an historical eyewitness report by British diplomat Richard Brinsley Sheridan on the American arrival, duplicity and intervention during the revolution against Spain. It also demonstrates the determined and brave nationalism of our (Katipunan) revolutionary forefathers. The report angers but most important reminds us that our revolutionaries were led by men who were aware of the principles of democracy and had plans for a democratic national government, but whose dreams for "the people," i.e. the native, dispossessed Malay majority, were destroyed by the duplicitously invading Americans in cooperation with local mendicant friends - our traitorous socioeconomic elite. The Americans have duped the naïve and sentimental thus trusting native leadership. Fast forward today, it is unfortunate, sad and enraging that no significant change for the better has occurred in the attitudes and behaviors of our local elites, native and foreign, old and new . 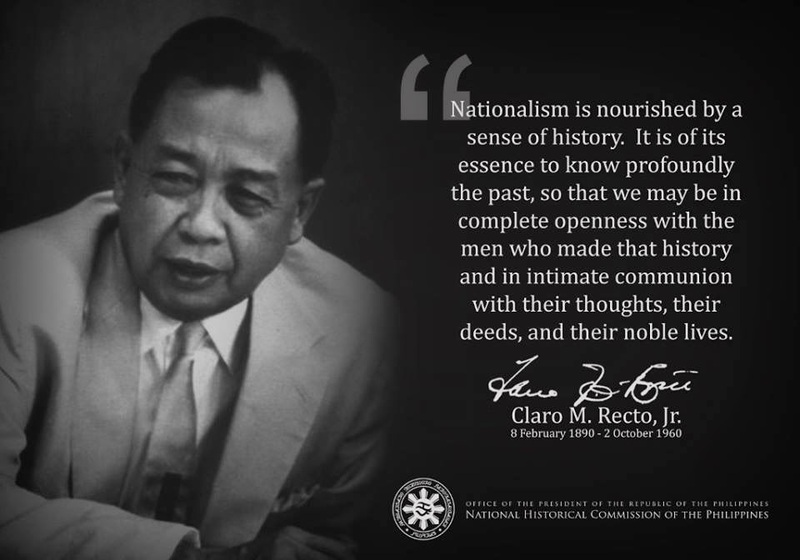 Hopefully, exposing this kind of glossed over and hidden, if not unpopular, history will make us consciously aware of our relevant past, of Filipino nationalism forgotten, ignored and debased, of mythologies and outright lies highlighted: by the mock Battle of Manila Bay; of American intervention and occupation as God-ordained Manifest Destiny, of being colonized by America with the sole altruistic intent of "benevolent assimilation," of us being the Americans' "little brown brothers,"of us having "special relationship" with America, etc. ad nauseam. Hopefully, all these long-unquestioned historical claims and myths we learned will be outgrown by objective knowledge; and therefrom help us, as a people, to be more prudent and realistic in dealing with America and other foreign nations. In matters of true nationhood, mass ignorance is not bliss but brings and guarantees only misery and pain, as in the past, present and foreseeable future. "The Phillipines makes a decent representative example of the US' first official exercise in colonial imperialism and formal empire [*], also referred to as "civilizational imperialism" - a project we're presently repeating." Lest this seem to be the bellicose pipedream of some dyspeptic desk soldier, let us remember that the military deal of our country has never been defensive warfare. Since the Revolution, only the United Kingdom has beaten our record for square miles of territory acquired by military conquest. Our exploits against the American Indian, against the Filipinos, the Mexicans, and against Spain are on a par with the campaigns of Genghis Khan, the Japanese in Manchuria and the African attack of Mussolini. No country has ever declared war on us before we first obliged them with that gesture. Our whole history shows we have never fought a defensive war. And at the rate our armed forces are being implemented at present, the odds are against our fighting one in the near future." - --Major General Smedley D. Butler, America's Armed Forces: 'In Time of Peace', 1935.1898-1914: The Phillipines. I SAW General Aguinaldo many times, and on one occasion I took my wife to see him. Among the periodicals which we had to amuse us in the train, on our way to Mololos, was the Christmas number of an American weekly comic journal, in which President McKinley was portrayed, offering to the Senate as his Christmas gift a large white elephant, which represented the Philippine Islands. This we gave to General Aguinaldo, who recognised the satire of the caricature immediately, and enjoyed the comedy suggested. He asked us to allow him to keep it. At another of my interviews, he asked me, on hearing that I was an English barrister, to prepare for him a code of mining laws, remarking, "I have confidence in the English law, because I know it is humane and just." On one occasion, Senor Buencamino said that the question of telegraphing for assistance to Mr. Chamberlain had been discussed, and that the Filipinos would lay down their arms if England would take over the islands. I replied that in the present circumstances, there would be great opposition to such a policy. But said Buencamino, "practically, the whole trade of the Philippines is British; will she not protect her merchants and her trade? " I told him that as she was not doing so in China, and I failed to see what inducement she would have for doing so in the Philippines. On the I2th of January, my host, Mr. Wood, having regard to the serious condition of affairs in Manila, the possible loss of life and property in the event of a rupture between the two opposing forces, as well as the temporary destruction of British trade in the Philippines, invited me to act as intermediary on behalf of the merchants in Manila, and to bring about, if possible, a reconciliation between the Americans and the Filipinos. Mr. Higgins joined Mr. Wood in the request, informing me that he represented nearly one million eight hundred thousand pounds invested interest in his line, and that a war would mean for a certainty a partial destruction of his properties, and the total loss of pecuniary returns. They both urged upon me the importance of the mission which I, having neither trade nor business in the Philippine Islands, and being unconnected with either side, might possibly bring to a successful issue. I, of course, consented to act for them in the manner suggested, provided I received a written request signed by the whole body of the representatives of invested British capital in the Philippines, which amounted to some eight millions sterling. On the I4th of January, the rumours in Manila were most alarming. Mr. Fitten told me he thought a rising probable, because the night previously the "insurgents "within whose lines he was living were singing rebel songs. This sort of information, confirmed by the newspapers, was the cause of many of the panics in Manila, whereas, in fact, Aguinaldo had no intention of attacking the city. I saw a letter from him to Mr. Higgins, in which he stated he had heard the rumour of his proposed attack on Manila. He was not at a loss to understand the object of these wicked inventions; but he desired Mr. Higgins to acquaint his friends that before he commenced hostilities, or declared war against the Americans, he would duly notify the consuls, representing the foreign powers and the American military general, and he also made a similar promise to me on a subsequent occasion. In one of my several interviews with Admiral Dewey, he said " he had received representatives from Aguinaldo who told him they could take possession of Manila when they chose," and he replied, "very well, and suppose you do: I should blow you and Manila clean off the earth; but," he added, "whenever I speak harshly and threaten them, their little commander Aguinaldo always sends me some trifling souvenir of my hard words. After the last occasion, he sent me a walking-stick. I always feel very sorry for the little chap." Dewey undoubtedly appeared opposed to the annexation of the Philippines. I am afraid that sufficient consideration was not paid by the American government to his views. Admiral Dewey is not a man likely to arrive at conclusions without the most ample justification. If he formed an opinion, it may be rightly supposed he had weighty reasons for supporting it. On one occasion he told me he feared to return to America, on account of the probability of his being feted and lionised by the American nation. No man in the United States deserves to be honoured and admired more than this brave and thoughtful commander, who, as I have stated before, could alone have prevented the bungle caused by having "too many cooks to make the Filipino broth." There was hardly an officer in the American army or navy, in the Philippines who in discussing the future policy in the islands did not end in saying: "We know we have got into a dreadful mess, but how are we to get out of it? We don't want the archipelago. We have no trade here, and England has about three times the trade of any other nationality in the Philippines. Why don't she take them off our hands? What can we do now? Leave them? Give them back to the Spaniards, or pack up and go away without saying anything to anybody? Germany then would step in as we step out. She has been waiting for it." At Corregidor, an island some thirty miles from Manila, commanding the entrance to the bay, I saw the American hospital for convalescent soldiers, under the very able command of Major Owen, who kindly showed me results of his good work. He had done wonders in the camp, his sanitary arrangements were perfect, he had two hundred and fifty convalescents in the establishment which he had built for them. He told me he had not received sufficient pecuniary support from Manila, but he had managed to get along without it. He had provided the men with tables, which he had made from packing cases; they were having dinner, of very excellent food. I should say that all the American soldiers received the best possible food, —and later, when the Filipino-American war commenced, I remember hearing the following remark made by one American soldier to another, about the supplies to one of their regiments "at the front": "Why, you won't believe it, but the boys at the front had nothing to eat but tinned things for the whole of twenty-four hours, and they did not complain." The American hospital at Corregidor is attached to the ground by steel ropes to prevent it being carried away by the typhoons, so frequent in certain months in the Philippines. In the small native village on the island, I noticed the Filipinos were very friendly with the Americans, and seemed quite satisfied with the American occupation of that place-of course the number of the inhabitants was very small and entirely without arms. During this time, I was a frequent visitor to General Aguinaldo, at Mololos. He was quite willing, and indeed most anxious, that the misunderstanding between himself and the Americans should be amicably arranged. He did not, in any sense, desire the withdrawal of the American troops. He wished them to remain to protect the natives from foreign powers, while at the same time he insisted on Filipino independence. He would have gladly accepted a government on the following terms: — (i) The Americans to remain in islands, and to have possession and control of the ports, through which all exports and imports from, and to the interior should pass. (2) The Americans to collect all the duties at the said ports. (3) The duties, when collected, to be divided into three parts. (a) One-third to be appropriated for the repayment of the twenty million dollars paid, or agreed to be paid, to Spain. (b) One-third to be retained by the Americans, for the maintenance of their fleet and army in the Philippines. (c) And one-third to be paid to the Filipino republic for the maintenance of its government. (4) That the Filipinos should form their government, which should legislate for the Philippine Islands, subject to the superintending advice of an American official, to be appointed by the American government, and whose advice should be final. Under an agreement of this sort, the American government would have been in practical possession of the Philippine Islands, really legislating and controlling the native government through its adviser. Great Britain has found this form of local government work exceedingly well in the Malay states, where it gives great satisfaction to the native inhabitants. It also satisfies the wounded dignity of the higher native officials, who have not, as the Chinese would say, "lost face" because they are members of their own government. In consequence of the position taken up by one of the bank managers in Manila, I felt I could not act officially for the merchants in the matter of mediation. This gentleman stated he preferred the Americans to the Filipinos, from a business point of view. In the event of American annexation, he expected capital would be literally poured into Manila for investment in the islands, and he therefore declined either, to sign a request to me for arbitration, or in any way to support a settlement of the questions in dispute between the American government and the Filipinos. Though I was frequently urged by the merchants to mediate without the cooperation of this particular bank manager, I decided not to do so unless there was complete unanimity among them, and I therefore refused to take any further steps as an authorized intermediator between the opposing parties. THE 22nd of January was a great day, both at Caloogan and at Mololos, and, indeed, in all the towns in the Filipino republic. It was the day of the presidential election. Thousands of Filipino soldiers were travelling from all points on the railway line to vote at Mololos. I was at Caloogan, and I was greatly surprised to see in the Filipino lines two American soldiers wearing the Filipino uniform. It appeared they had deserted from the American ranks and had joined Aguinaldo's army. This I did not believe. I surmised that they were American spies. If this was so, they must have been plucky to have placed themselves in so perilous a situation. As the trains passed us packed with soldiers, the men cheered with great enthusiasm. It is needless to say that Aguinaldo was elected President of the Filipino republic there was great rejoicing among the Filipinos throughout the length and breadth of the Philippines. The native priests caused special masses to be said for General Aguinaldo and the cause of independence. I should state that the Filipinos are for the most part devout Roman Catholics. General Aguinaldo sent to the merchants and residents in Manila a circular, informing them of the fact of his appointment. I frequently saw the Roman Catholic Archbishop of Manila, the Most Rev. Senor Nozaleda, who was always most courteous. He was ever curious to hear what Aguinaldo had said to me. He referred to Aguinaldo as " that rascal " on all occasions. This was to be expected, as the Archbishop had been under the Spanish rule, and, consequently, an actor in the oppression of the Filipinos. To him had been attributed the execution of Dr. Rizal, on the Luneta, on the 30th of December, I896, after that patriot had suffered years of persecution and injustice. On one occasion, I went into the interior to a luncheon party given by General Buencamino at his house. Mr. and Mrs. H, Mr. W, Mrs. A-, my wife, and myself were invited. I will describe the luncheon briefly, so that my readers may judge the native in his home, and consider whether the Filipinos are the barbarians they have been reported to be. At this luncheon General Aguinaldo was expected to be present. We arrived at S- at about twelve o'clock, noon, where, at the station, we found General Buencamino and a number of his officers awaiting our arrival. He had provided carriages, as in London, Paris, or New York. His house was about a mile from the railway station, and overlooked the river Rio Grande. The dwelling was enclosed in a tropical compound, prettily laid out with bright flowers and palms. It was partly built of stone and partly of wood, and consisted of one story. From an architect's point of view it was beautiful. The rooms were unusually large and extremely lofty. General Buencamino informed me this house had been in his family one hundred and fifty years. On our approach, a band (composed of Filipino musicians, playing on harps, violins, mandolins, guitars, and other stringed instruments) commenced a melody of welcome. This band played some charming native tunes most delightfully. The natives are as musical as the Italians, and sing almost as sweetly, though their voices are not trained, and, therefore, not so effective. Their music is not confined to native or Spanish. We were much surprised to hear the first movement of Beethoven's "Moonlight" sonatas. On entering the house, we were met by the daughters of our host, who received us with genuine warmth. There was a large party of Filipino officers and native ladies, all dressed in the picturesque and becoming costume of their country. Senor Buencamino said to my wife: General Aguinaldo desired me to express to you his deep regret that business of an urgent nature prevented his attendance to-day, but that he hopes to have the honour of entertaining you shortly at Mololos, when he will be host, instead of guest." The dinner service was made of pure silver, and General Buencamino apologised for not having had his more valuable service. "I have," he said, " had to bury my plate already three times from the Spaniards, and this service has only recently been unearthed for your benefit. The other is underground near the river, and this will soon join it in case of sudden emergencies." The wines, champagne, sherry, claret, port, etc., were provided with ice, which we had been unable to obtain in Manila, except through the kindness of Admiral Dewey, who frequently supplied us with it. Toward the end of luncheon, the band struck up the national anthem of the Filipino people, and afterward played the "Aguinaldo March," the composer, a handsome Filipino, conducting. The conversation at the table was brilliant; there were no events in history with which these people were not acquainted. They spoke English, French, German, and Spanish. In my conversation with an important official in Aguinaldo's government, he told me that he had been compelled to imprison two Americans, one of whom had been travelling under English papers, which, on examination, were proved to be forged, whilst the other pretended he was an English prospector. In his bag, however, were found maps and plans of Mololos and other Filipino strongholds; yet these persons were only being detained. I asked whether they were to be shot, and he replied: "No; we do not wish to kill or cause unnecessary bloodshed, though the Americans are trying to force us to war. Last night I had reported to me that a Filipino woman was shot in the streets of Manila for seeking medicine for her sick child. This I knew was true, but the American who shot the woman stated his gun was fired accidentally. Can such things," continued this official, "be tolerated by a just and peaceful people? We have no confidence in the Americans now. Are you surprised? If they take these islands, they shall have them without the people. There is not one Filipino in all our many islands, who is not ready to lay down his life for the independence of the republic, and this sentiment extends also to our women and children." He told me further that they had forty-two Maxim guns which they knew how to handle. Speaking to one of the aides-de-camp of Aguinaldo, he said something almost similar. "We have been led by America and her representatives to believe that we should have our freedom. If America has changed her mind or her policy, and desires to seize our country, well, she can have it; but not till she has killed every man of our people -we love life, but without freedom we prefer death. The Americans call us niggers, because our skins are browned; but," he added sneeringly, "if we niggers desired to take Manila, all that would be necessary would be to roll into the city sufficient whiskey, wait until the soldiers consumed it,- which would not take them long, -and then enter the city." When lunch, coffee, and cigars were finished, we went into the ballroom to dance. This was a large room with a polished floor, and would have done credit to any public ballroom in London. ON the morning of the 4th of February, I went to Mololos with Mr. and Mr.General Buencamino met us as usual at the station, and accompanied us to the palace in the afternoon, where we were immediately received by General Aguinaldo, with whom we remained some hours. He had a cabinet and a council meeting with his generals. He told me he had considered the suggested form of independence, before referred to, and that he and his colleagues were satisfied with it. We returned from Mololos at 6 o'clock P.M.; we left there all Aguinaldo's principal generals and official supporters. This I can state absolutely, because most of them we saw shortly before our return. At this time a circus, "Warren's Combined Shows," was performing at Manila, close under the Filipino lines. On this particular evening, our host had two boxes for the entertainment, and had invited a number of people to dinner and to go with us afterward to the circus. At 8.45 P.M. our party, consisting of Mr. and Mrs. Higgins, Mr. and Mrs. Todd, Mr. Morris, Mr. Wood, my wife and myself, drove some two and a half miles to the circus. We heard that the Americans had been under arms during the afternoon, and were so still. This we could not understand, as we knew the Filipinos contemplated no action, and therefore we concluded the report was without foundation. The performance took place in a large tent, capable of accommodating about eight hundred or a thousand people. The boxes were placed immediately adjoining the arena. When we arrived at 9.10, every seat in the place was filled. The cheaper seats, which were built in tiers almost to the roof, were occupied principally by American soldiers, of whom there must have been some six or seven hundred. The performance was an exceedingly good one; but it was interrupted at 9.30 by the abrupt entrance of an American soldier, who, placing his two hands to his mouth in trumpet form shouted the words, "Prepare, the rebels are upon us," and immediately afterwards disappeared. Thereupon a terrible scene of panic ensued. The American soldiers rushed to the door in the wildest excitement, trampling under or throwing aside women and children. Everybody was in the greatest state of consternation and fear. All the boxes contained ladies; we called to them to remain seated and to await the departure of the soldiers, who apparently considered their own safety of first importance. Mr. George Warren, the manager, with admirable courage, hurried forward and announced to the audience "A false alarm," at which those remaining gained courage. In a few minutes nearly the whole audience had left the entertainment. The performance was, however, continued, and gradually I noticed a few of the panic-stricken soldiers return again, and take up their positions by the door. In reflecting on the conduct of these men, I fail to find in it any justification. They were, it is true, armed with revolvers only, and were without their guns, and may have feared being caught and massacred in an enclosed space; but even so, they were men, and it was their place to have lessened and quieted the panic rather than have caused it. Mr. Wood left the circus to inquire as to the real events, and to see whether our carriages were still waiting. He returned quickly and informed us that one of our carriages had been taken by the soldiers. We remained watching the performance for some twenty minutes longer, when it became apparent that some serious action had been taken. Volley after volley was being fired, and the bullets whistled past us through the tent with unpleasant distinctness. At the entrance we found the utmost commotion. People were rushing wildly to and fro, unconscious of what they did or where they went. Soldiers were ordering the natives to their homes, and were shooting those who refused to obey. The night became as light as day,-illumined by burning houses. The noise of guns was deafening, and bullets were simply raining around us. The terror of the situation was relieved by the heroism of the ladies with us, and particularly in the case of Mrs. Higgins. I have already stated that Mr. and Mrs. Higgins lived outside the American and inside the Filipino lines. We had not only the horrors of the engagement now being fiercely carried on within a few yards of us, but we expected the Filipino population would rise and massacre without mercy the Americans in the city. Mr. Wood suggested to Mrs. Higgins the hopelessness of trying to reach her house, and therefore invited her to his which faced the sea, where, if necessary, she could escape in one of his steam launches anchored in the bay. Mrs. Higgins, calm, and without fear, said: "Do you think, Mr. Wood, that either my husband or myself would consider our own safety when our two children are left at Caloogan? I thank you, but whatever the dangers or the risks may be, we must and we shall reach our home to-night." This they did on a trolley, worked by Mr. Higgins on the railway track. After Mr. and Mrs. Higgins drove away, we hurried from this dreadful scene of the dying and the dead, and got into our two remaining carriages. They had to be driven at a walking pace, because the American soldiers along the road were lying in ditches with their guns resting upon the banks, ready to fire at sight, and each group of soldiers called upon us to halt as we travelled along, with the crack of rifles in our ears all around us. In parts of the city through which we were obliged to pass, I noticed many of the American soldiers were calm and collected, notwithstanding their compulsory inactivity in most trying circumstances; and after we had answered their challenges, they said, in several cases, that they were glad the trouble had begun. The heavy firing continued until about 2 o'clock A.M., when the Americans determined to await daylight and not waste further ammunition. As will be seen from the map, Manila forms a half circle around the limits of which the rebel lines had been permitted by the Americans to camp. When the first shot had been fired by the Americans as I shall subsequently show, the attack of the Filipinos became general from every point or zone in the semicircle. In the days of the Filipino-Spanish wars, the fighting always took place at night. When the day broke, the firing in nearly all cases ceased, and both sides retired. The Filipinos were no doubt much surprised, therefore, to find the Americans waiting for the day. At 4 o'clock A.M., the United States cruiser, Charleston, commenced shelling the rebel lines beyond the fort of San Antonio, and thus prevented them from forcing an entrance into that end of Manila. Mr. Wood's house, at which we were staying in the city, was situated next to the Manila Club, which has a high watch-tower, with a flat roof. On this roof we all assembled, and could plainly see the fighting around us. Simultaneously with the shelling by the United States warships, the American forces charged and harried the unprepared Filipinos, pressing them back by fearful onslaughts from their positions. There was now no longer any question as to the courage of the American soldiers. Whatever their failings had been hitherto, they now exhibited the bravery of their race. Deeds of chivalry and heroism were performed by these volunteer men, undisciplined though they were, which some day will be recorded. However much I have been compelled to condemn their conduct in times of peace, I must confess gladly and freely that I felt proud that these soldiers, fighting so bravely, were practically our own people. At one time, I saw as many as seventeen fires, both large and small. But for the shells from the vessels, the Americans would have been sorely pressed and tried; these frightful messengers of destruction wrought the most awful havoc in the Filipino lines. At 7 o'clock A.M., we were compelled to withdraw from the watch-tower, on account of the storm of bullets around us. At one time the fighting was so close to us that we thought it might be necessary to take to the launches. By I0 o'clock A.M., Paco and Santa Ana were in the hands of the Americans, who were pressing the Filipinos beyond the water-works at Santolan, some five miles from Manila, fearing lest these might be destroyed and the city be left without water. Paco, a district of Manila, had been burnt, and the church destroyed, though its tower was still standing. On my arrival here, I was told that some sixty Filipinos were in the tower. I stood opposite with some American soldiers and a lady, who had been brought from Santa Ana. The Filipinos in the tower had control of the road, both to Santa Ana and to Manila; they repeatedly fired at officers who passed up and down the road, but they did not shoot privates. American soldiers, under cover of the wall which surrounded the church, fired into the tower when they thought a head appeared at the iron grating which was in the top part of the structure. A large gun was brought from Manila for the purpose of shelling this tower and destroying the Filipinos; but during the time I waited, the tower had not been demolished. I inquired of the soldier at my side whether anything could save the Filipinos in the tower, and he replied: " No, I don't think so. You see the boys are out killing now, and they have old scores to pay." " Not," I asked, "if they put out a white flag?" "No," he said, " I think the boys would not let them go." As a matter of fact, the tower was not destroyed, and the Filipinos escaped that night. Paco church was remarkable for its sort of pigeon-hole graves at the rear, in which people had been buried, and for which rents were paid to the priests by the relatives or descendants of the deceased. If these rents fell into arrear, the bones of the departed ancestor were thrown by the priest into the yard, and the grave became "to let," as will be seen from the photograph. The heap of bones suggests that a large number of the departed had, through their descendants, been unable to pay their grave rents, and hence the homeless condition of their osseous remains. As I waited, the wounded were being brought from the front, and the most ghastly sights were to be seen. Referring to the outbreak of hostilities, the Singapore Free Press, dated February 23rd, states: - "There is something deeply pathetic in today's telegram, taken along with the news from the Philippines in the course of the mail, giving details of the deplorable rupture at Manila and Iloilo. The steed having been stolen, the American Senate locks the stable door. It is unhappily the thing so often anticipated with apprehension, which has occurred. Procrastination, want of grasp of the situation, and, it is suspected in some quarters, a design to present the Filipino government in an unfavourable light to the United States government, are collectively responsible for the fatal breakdown of friendly relations between the so-called ' liberators' and the successful Filipino revolution."